Are you looking for some best WordPress email marketing plugins ? You are at the right place. Get all, that you need! Every marketer knows how important it is to stay connected to the audience. Hence, there is a bunch of WordPress email marketing plugins, which help use email marketing in an effective way with ease. Want your subscribers to receive up-to-date information on your product or articles? Want to hit the target? Use these WordPress email marketing plugins and tools! 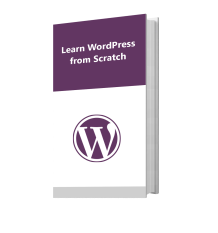 WordPress is a perfect platform for collecting all sorts of data. There are many WordPress Email Marketing plugins to connect to your email service. You can also use them to send or receive urgent and relevant information. Here at TemplateToaster WordPress website builder, you can learn about the best 11 WordPress email marketing plugins. They can help you promote your project and create a tight bond with the audience. What about making the subscription to the list of emails much easier? What about collecting various information for the statistics section?Forms does exactly this. You need no account to use Constant Contact forms WordPress Email Marketing plugin. Well, registered members can enjoy a broader range of options to choose from. MailPoet WordPress Email Marketing plugin turns your WordPress into a powerful tool for mailing to a huge number of subscribers. With a free version, you can send emails up to 2,000 subscribers. Such messages can end up in a spam folder so that your website gets blacklisted. Use a premium version to avoid these problems. Then the server does all the work for you and you don’t have to worry about the delivery. Also, in the premium version, you get to see which subscribers opened the newsletter and which links they clicked. Email Users is definitely worth your attention as the best WordPress Email Marketing Plugin. It combines all the features of a regular tool and offers a variety of top-notch options to choose from. You can sort the registered users by age, preferences, hobbies and so on, and send your emails to them. You can also send notices on new posts or ads. What’s more, users can email each other. A perfect tool for those, who want to build up a loyal following of people who enjoy your website! MailMunch nails your email marketing. With a variety of options, such as embedded and sidebars, scroll boxes, different popups it is hard to beat. MailMunch is compatible with ConstantContact, MailChimp, InfusionSoft, GetResponse, CampaignMonitor, and Aweber. This WordPress email marketing plugin adds lots of features to its functionality. You can also use various testing and analytic tools the developer has in store. This one we compare to MailMunch and ConstantContact. It also lets you use various instruments like popups and widgets. This Email marketing plugin is a more advanced version of a popular mailing service. Not only that Hustle would give you a broader access to your target audience. But that it provides a ‘share’ bar for many social platforms is fantastic. That’s the way you collect statistical data to make a forecast on the future of your projects. MailChimp can rule them all! Create newsletters, make original designs depending on your target audience and its liking. More than 7 million people run MailChimp on daily basis, which proves it is good. Manage your subscriptions with it, send emails, collect data, design various templates. You can even create automatic responses to always stay in touch with the audience. To bond with the audience even stronger, add comment and contact buttons to your website or blog. The plugin has a simple installation form. All you need is an API key to connect the app to your platform. If you want to use an advanced opt-in form, you can integrate all the options into other forms you have on the website. Contact Form 7 Campaign Monitor Extension can help you solve this task. It is compatible with Contact Form 7. Your visitors can subscribe to all the newsletters by making a few clicks. Well, it is a rather more complex approach to your email delivery. Made for those, who know the value of time and want to keep track of all the data current. Email Subscribers and Newsletters collects all the necessary data in your stead. When ready it sends emails to all subscribers through your WordPress page. There is an option of an automatic delivery every time a new post gets added to the website. I would say this WordPress email marketing plugin is a real godsend and time saver for power users! This WordPress email marketing plugin is very useful for online shop owners. Want to keep your customers updated on the latest sales and deals? Install this one! YITH WooCommerce Mailchimp connects your store to the mailing system. Now your customers can subscribe to the newsletters due to this nitty-gritty plugin. This one definitely stands out among the best WordPress email marketing plugins. Made for bloggers, who want their subscribers to be up-to-date with their content. ConvertKit connects your account by using an API key. It is capable of adding lots of various forms for every blog post or for the website itself. This Subscribe2 HTML plugin is a great help for those, who want to send notifications every time a new blog post is up and running. This maximizes the conversion of your website. You can send CSS files, send pictures and generate emails in a blink of an eye. Definitely, a rewarding WordPress email marketing plugin. Electronic mail remains one of the best tools and solutions for marketing. Many types of research and statistics can prove this. You can use email every time, you need a safe and simple delivery solution. Which WordPress Email Marketing Plugins you use? WordPress email marketing plugins make the data collection a breath-taking holiday. You can share information like shooting ducks in a pond. Don’t hesitate, try them and find out the best WordPress email marketing plugins that suits your needs! As you are deciding to use WordPress email marketing plugins, you will undoubtedly want to update your site! 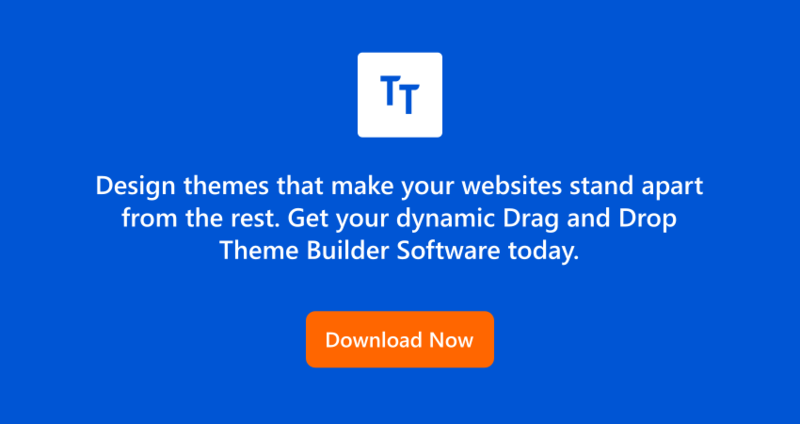 Redesign the theme for your site with TemplateToaster website design software and website builder, compatible with major CMSs and responsible for designing appealing themes.